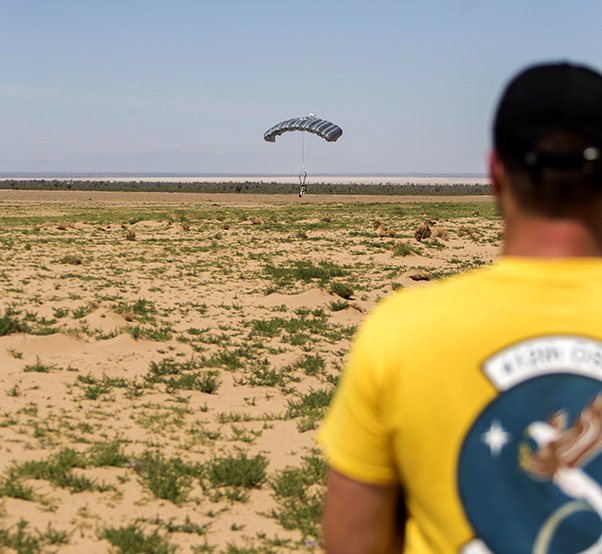 Trever Bush, 412th OSS Parachute Test Team, examines the Remotely Piloted Parachute System after its maiden flight May 23, 2017. Bush designed and built the guidance system using off-the-shelf parts like electrically operated servos and a radio control system much like one for a model airplane. 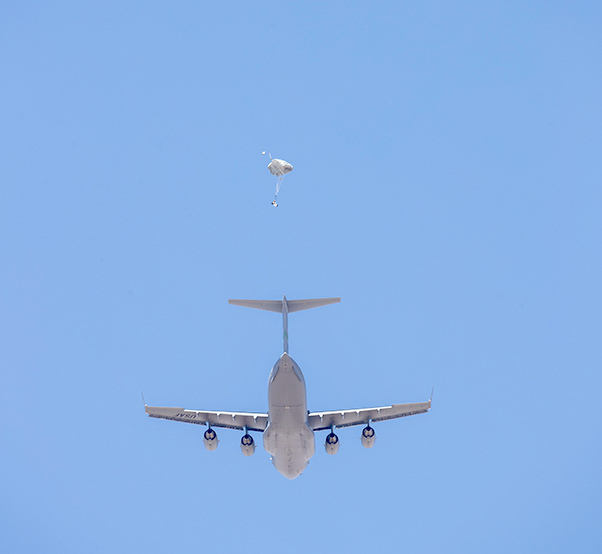 Two teams collaborated for the first-ever test of a remotely piloted parachute system on the range at Edwards Air Force Base, Calif., May 23, 2017. A parachute test dummy exits a C-17 Globemaster III and begins its descent to earth under guidance of a Remotely Piloted Parachute System. This was the maiden flight of the RPPS. 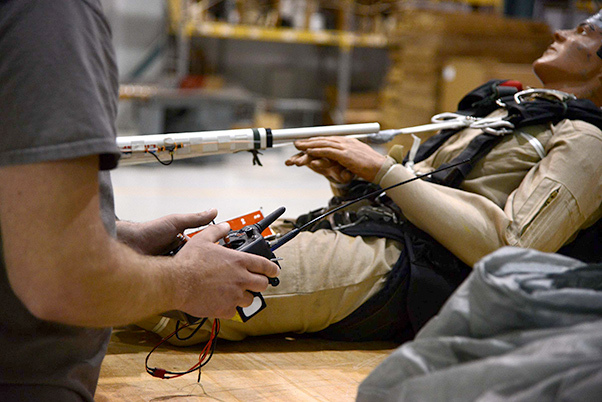 Trever Bush, 412th OSS Parachute Test Team, guides a test dummy in using the Remotely Piloted Parachute System he designed and built. Trever Bush, 412th OSS Parachute Test Team, demonstrates the operation of the Remotely Piloted Parachute System he designed and built. 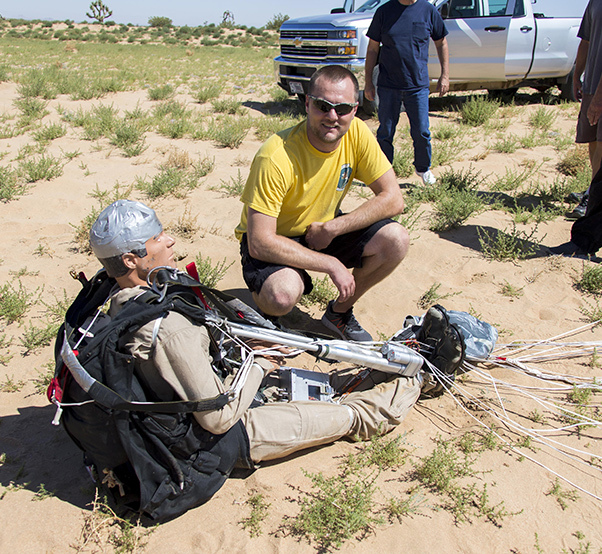 The RPPS is designed to save time and money in recovery and dummy repair costs during parachute testing.